Enquire about the career development programs and get latest updates via our Linked In Group. It's free to join. We support women to have a thriving career. We do this by providing career development learning programs delivered via a Talented Women Membership. Designed to support women to create and build sustainable career development plans, Talented Women offer women essential education courses, coaching, tools and networking opportunities to accelerate their career. Enjoy a bespoke range of career development courses. All courses are live, interactive and delivered by webinar or face to face. Online courses recorded so if you can't attend you will still receive the recording of the webinar for you to view at a later time. Many women fear networking or presenting. Learn how you can put your best foot forward when developing new professional relationships and presenting your ideas to others. If you choose to take up a Talented Women membership then you will not be alone. Members have unlimited access to our career concierge team. You can call or email the concierge to ask any question relating to your career development. Our career concierge team is a highly trained team of human resource professionals and career coaches are on hand to answer your questions and concerns.
'' 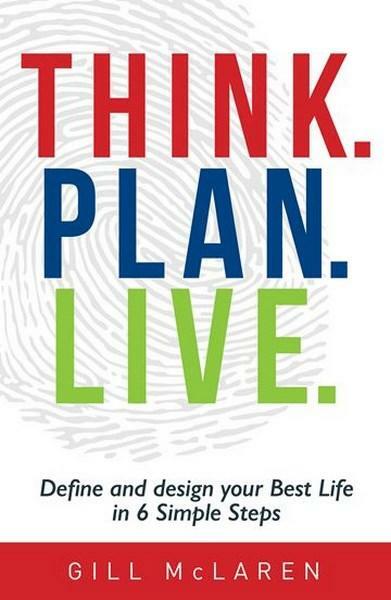 It's more than a book… THINK.PLAN.LIVE. 6 steps, stories and exercises were curated for the reader with the sole purpose of stimulating you into a self-coaching journey of personalised life design, as unique to you as your fingerprint ''. With a Talented Women membership, you receive a copy of the THINK.PLAN.LIVE book written by women in leadership expert, Gill McLaren. We have more than 10 years trusted experience supporting women with their career development. Our tools, courses and coaching services are delivered by a team of highly experienced, HR, learning and development, coaching and recruitment practitioners. You choose the tools, courses and support you need on demand. Once a member, you'll have the choice to engage in a range of courses, toolkits, access the concierge team who can answer your unique questions to deliver a personalised service. Access our online tools, courses and concierge from anywhere you are. A range of courses are delivered online and are recorded and you have the option to attend some courses in person. Emma is leading-edge Leadership specialist and Career Coaching Practitioner. Emma is an author and professional speaker in the areas of leadership, career development and balancing work and family and is a regular contributor to news radio and television on such topics. Emma is also the past NSW President of the Career Development Association of Australia. And in 2017, was recognised by Westpac as top 200 Australian business of the future. Kiri Stejko has over 17 years’ experience in the careers arena in human resources, talent management and recruitment. Kiri is also a trained Psychotherapist, with a BA (Psychology), and two Graduate Diplomas - one in the Science of Psychology and one in Counselling. Additionally, she is a certified HBDI practitioner. With this combination of experience and training, Kiri is an expert in career coaching and talent management. Kiri supports organisations and individuals from an array of sectors to find opportunities and strategies that optimise their potential and talent. She is passionate about helping professionals feel genuinely motivated and engaged in their careers. She also coaches people through the transition to becoming a working parent. Kiri has built and led regional and multicultural teams while based in Sydney, London and Hong Kong, in various industries from professional and financial services to entertainment. Gill McLaren is on a mission to help people design and live their best life. Gill left a successful international corporate and a C-suite career because she felt she wasn't making enough difference to the world. She came to the realisation that through sharing her approach and coaching and running workshops with others to share her philosophies and method of Life Design, her practical approach really helped others create their own best life. It started with her team, then her colleagues and then her friends. The reaction was so positive to her approach to best life planning that she decided to set up a business and write a book to focus on it.